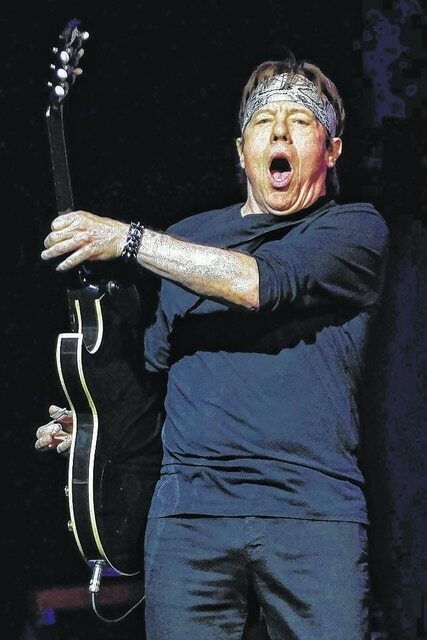 George Thorogood & The Destroyers performed at the Stuart & Mimi Rose Music Center at The Heights on June 2. HUBER HEIGHTS — The city of Huber Heights plans to mitigate the noise coming from the Rose Music Center that affects residents to the north. Huber Heights City Manager Rob Schommer said that following the opening show, feedback from a couple of the residents indicated they were receiving some direct noise that was originating out of the center aisle. He said the city wanted to mitigate that to cut the direct sound down as he said there was nothing that’s blocking the sound direct from the speakers. After monitoring the sound, the city came up with a plan to hang a sound curtain at a cost of about $20,000 from Music Center revenues that will prevent that sound from being directly accessible. He said that the Music Center was designed to cut down on sound by the strategic placement of the concession stands; however, the center area by the main gates, there is still some direct sound. Schommer said this involves purposely engineered fabric for sound absorption and that he believes this to be a relatively heavy sound deadening material with some form of vinyl type backing for some weather protection. He said that facility operator Music & Event Management, Inc. (MEMI) primarily did the research to find out what the best option was. The curtains are expected to be installed this week. One of the areas that has exceeded expectation is the heavier use of the box office than anticipated. He said people can save the convenience fees that are charged when ordering tickets online and that there is quick and easy access from I-70 with people coming to the box office from regional areas such as Springfield, Sidney and Centerville.